From Rhône Valley to Annonay, Ardèche Grand Air proposes you a journey in a creative, greedy and natural world : hiking or cycling in our paths, sports and outdoor activities, tasting of wines and local products, guided tours, museums, cultural activities, exhibitionsand a Tourist office at your disposal ! Serrières Tourist Information is open in summer in the heart of the traditional village of Serrières in the Rhône Valley.  We can advise you about everything you can do in the area from the Rhône Valley to the Haut Vivarais. Open during the summer time. This Tourist Office is situated at the heart of Peaugres' zoo and opens during the summer period. We shall indicate you discover ideas on our territory to extend your stay in Ardèche Grand Air ! Open during the summer period. Ardèche Grand Air Tourist Information in the heart of Annonay provides information about all the things to see and do in our area so you can explore a world of excitement, food and nature!